A Christmas cruise out of Australia is a warm way to celebrate the holiday. 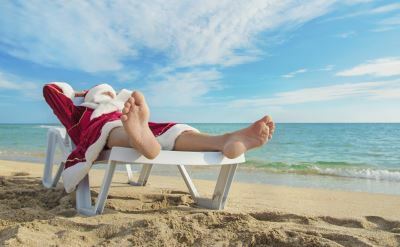 Christmas is in the summer in Australia so it's an ideal time to hit the beach. Sail to ports in and around Australia. The complete calendar of departures is presented below. All of the Australian Christmas cruises on our list leave from Sydney, Brisbane or Melbourne. Most are round-trip. Holidays cruises include decorated ships, festive meals and special events such as tree lighting ceremonies or Yule Log parades. 31-day Christmas & New Year cruise around Australia on Oceania Cruises. Round-trip from Sydney (Australia) to Brisbane (Australia), Whitsunday Island (Australia), Cairns (Australia), Alotau (Papua New Guinea), Port Moresby (Papua New Guinea), Darwin (Australia), Komodo (Indonesia), Bali, Broome (Australia), Geraldton (Australia), Perth (Australia), Albany (Australia), Adelaide (Australia), Melbourne (Australia), Burnie (Tasmania) and Phillip Island (Australia). 14-night Christmas cruise on Princess Cruises. Round-trip from Sydney (Australia) to Melbourne (Australia), Hobart (Tasmania), Dunedin (New Zealand), Akaroa (New Zealand), Picton (New Zealand), Wellington (New Zealand) and Tauranga (New Zealand). 12-night Christmas & New Year cruise on Carnival Cruise Line. Round-trip from Sydney (Australia) to Noumea, Port Denarau, Suva, Mystery Island and Isle of Pines. 9-night Christmas cruise on Carnival Cruise Line. Round-trip from Sydney (Australia) to Noumea, Mare and Lifou Isle. 13-night Christmas & New Year cruise on Princess Cruises. Round-trip from Melbourne (Australia) to Dunedin (New Zealand), Akaroa (New Zealand), Wellington (New Zealand), Tauranga (New Zealand) and Auckland (New Zealand). 9-night Christmas cruise on Royal Caribbean. Round-trip from Sydney (Australia) to Noumea, Vanuatu, Loyalty Island and Mare. 14-night Christmas & New Year cruise on Cunard Line. Round-trip from Melbourne (Australia) to Burnie (Tasmania), Fiordland National Park (New Zealand), Dunedin (New Zealand), Christchurch (New Zealand), Wellington (New Zealand) and Auckland (New Zealand). 12-night Christmas & New Year cruise on Norwegian Cruise Line. Round-trip from Sydney (Australia) to Dunedin (New Zealand), Akaroa (New Zealand), Marlborough (New Zealand), Napier (New Zealand), Tauranga (New Zealand) and Auckland (New Zealand). 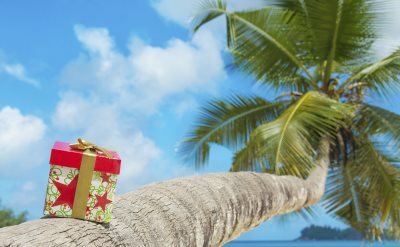 12-night Christmas & New Year cruise on Celebrity Cruises. Round-trip from Sydney (Australia) to Picton (New Zealand), Napier (New Zealand), Wellington (New Zealand), Akaroa (New Zealand), Dunedin (New Zealand), Milford Sound (New Zealand) and New Castle (Australia). The ship will be at sea on Christmas Day. • 2019 departure: December 23. 14-day Christmas & New Year cruise on Holland America Line. Round-trip from Sydney (Australia) to Eden (Australia), Melbourne (Australia), Port Arthur (Australia), Adelaide (Australia), Kangaroo Island (Australia), Portland (Australia), Phillip Island (Australia) and Burnie (Tasmania).